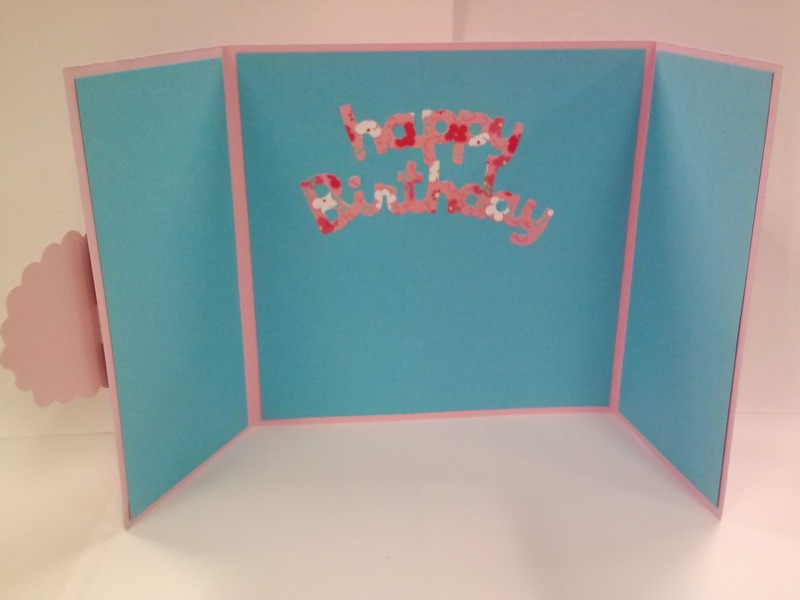 A few coworkers have birthdays in May, so I decided to get a head start on making cards for them. I found this really great floral paper and decided to create a tri-fold card to show off as much of it as possible. The center mat was cut from the Formal Occasion Cricut cartridge. 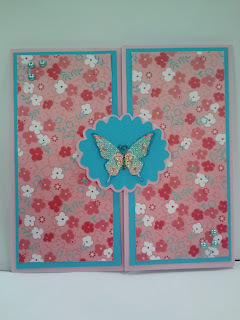 The glittery butterfly is a chip board piece that I've had for a while. Then I just added pearls in the corners. Inside the card, I used Create a Critter for the sentiment. I left a lot of open space for other coworkers to sign. Such a beautiful card, love the try-fold style card! 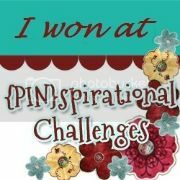 Thanks for joining our challenge over at Docerela Creations. 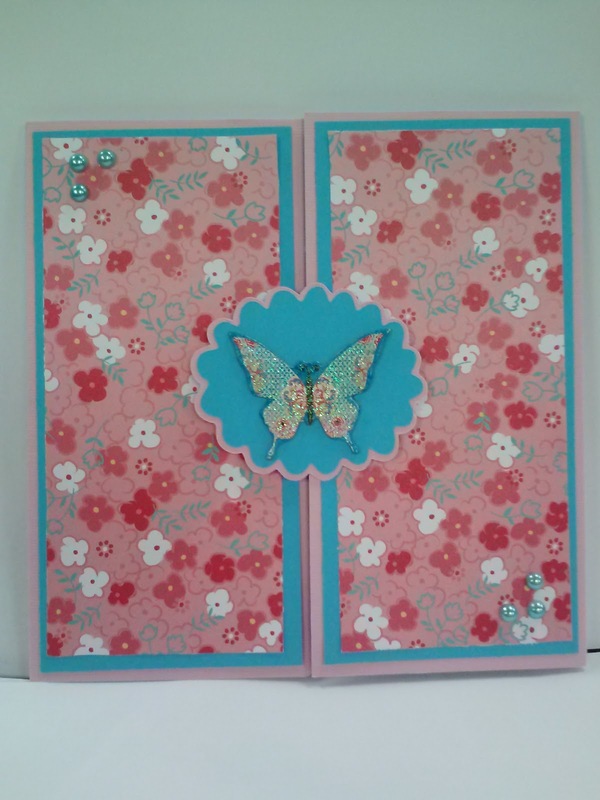 Pretty card & love the design! Very pretty, sweet design! Thanks for joining us over at Docerela Creations! 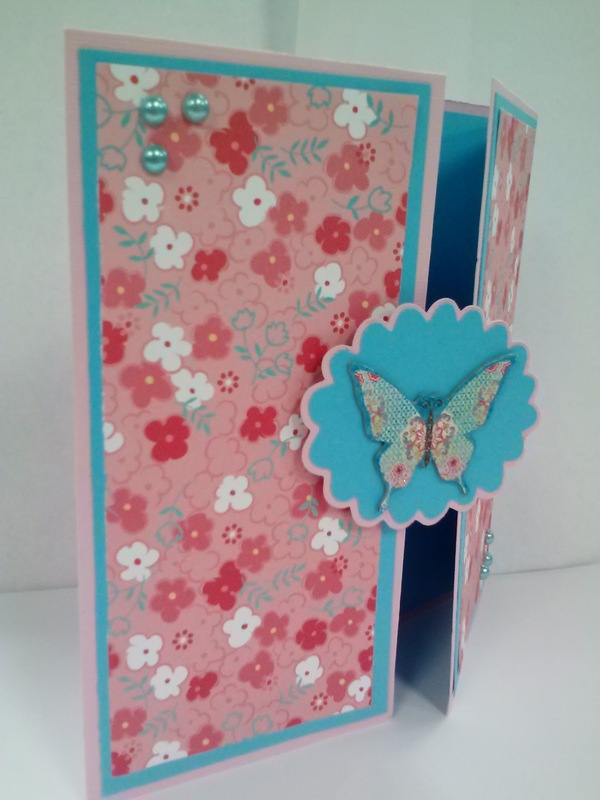 Love this fab fold, I really need to make something different to my usual square cards!